Since 1950, the Company has been in the catering business in Southeast Texas. 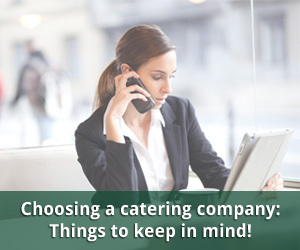 Today, it is the largest catering company in the area, specializing in off-premise catering. 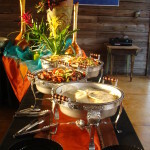 It caters to all types of functions from elegant hors d’oeuvres parties and wedding receptions to large company picnics. The mainstay of the business is the industrial market, where meals are served for luncheons, safety meetings, open houses, and turnaround meals. The primary reason for its success for decades is the commitment to offering quality food and service at a reasonable price. Maintaining a large inventory of mobile equipment, including trucks and on-site cooking equipment, makes it possible for Moncla’s to offer customers the freshest products available. For large functions, such as company picnics for 6,000 people or more, the company has adequate equipment to cook on location. We deliver the food ready to eat in disposable aluminum pans or disposable platters. Food comes with disposable plates, eating and serving utensils. Client is responsible for setting up and serving food. Menus include delivery within 15 miles. Please allow for additional charges for deliveries made after 4:00 p.m. Monday-Friday, All day Saturday or Sunday and all Holidays. Includes setup of buffet on your own buffet tables with Moncla’s stainless chafers, serving utensils and buffet linen. Served on disposable plates and pic-paks. Moncla’s staff replenish buffet for 1 hour. Breakdown buffet and take away. Served on disposable clear hard plastic plates, cups, stainless flatware and linen clothes for guest tables. Moncla’s staff to replenish buffet for 1 hour. Service your guest’s tables for a 2 hour event and cleanup at the end. 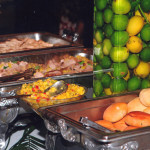 Includes setup of buffet on your own buffet tables with Moncla’s stainless chafers, serving utensils, and buffet linen. Served on china, glasses, stainless flatware and linen clothes for guest tables. 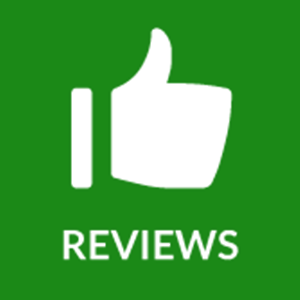 "Moncla’s Catering has provided an excellent service for our recent 2 Million Safe Work Hour Celebration. Great job was done by all."